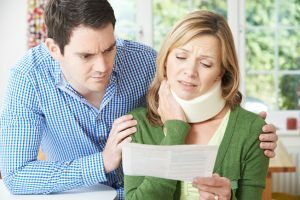 In Massachusetts, when it comes to whether you can bring claims as a result of motor vehicle accidents, often you hear the words tort threshold, or in other words, with tort threshold-motor vehicle accidents, is there a threshold which a claimant must satisfy. This means that to bring a claim as a result of a motor vehicle accident, a victim must satisfy certain statutory conditions. Although there are other conditions regarding tort threshold-motor vehicle accidents, the most common one is the requirement that an accident victim incur at least $2,000.00 in medical bills. If an accident victim does not satisfy this condition, then any complaint filed will be subject to dismissal or subject to a summary judgment. A dismissal will simply be a court order dismissing a complaint for personal injuries and a summary judgment means that the court has made a determination that there is no genuine issue of material fact which would allow an accident victim to bring such a claim, or, in other words, at least $2,000.00 in medical bills have not been incurred. While any one of these statutory conditions can be challenged, the most common one being that the injured party did not incur more than $2,000.00 in medical bills. This type of challenge related to tort threshold-motor vehicle accidents usually centers on the simple fact that the accident victim incurred less than $2,000.00 in medical bills, but may also involve a challenge that the $2,000.00 that the accident victim claim to have incurred are not reasonable and necessary, or not related to the injuries claimed. Once a complaint is filed, an attorney for the other driver usually investigates the issue as to whether any one of these statutory conditions are satisfied. The failure to satisfy these conditions will immediately invite a challenge to a lawsuit. If these tort-threshold-motor vehicle accidents conditions are properly satisfied, or in other words if the tort threshold-motor vehicle accidents is met, then an accident victim is allowed to pursue compensation, not only for medical bills incurred, lost wages incurred and any resulting scarring or disfigurement, but also for the pain and suffering relating to a motor vehicle accident. Only once this tort threshold is met can this added element of pain and suffering be included as part of any settlement or jury verdict. The theory behind this tort threshold requirement-motor vehicle accidents is that while some accident claims may not be brought, Massachusetts law provides the vast majority of motor vehicle accident victims with a benefit known as Personal Injury Protection Benefits, specifically being a benefit to provide for the payment of medical bills and lost wage reimbursement. These Personal Injury Protection Benefits, usually available in the amount of $8,000.00, are provided despite the fact that an accident victim does not incur the necessary $2,000.00 in medical bills. If you’d like more information about tort threshold-motor vehicle accidents I encourage to contact my office.